Baby Aurelia is one week old for her newborn photo session. For this shot, she is gently placed in a bucket with pink accents on her belly. 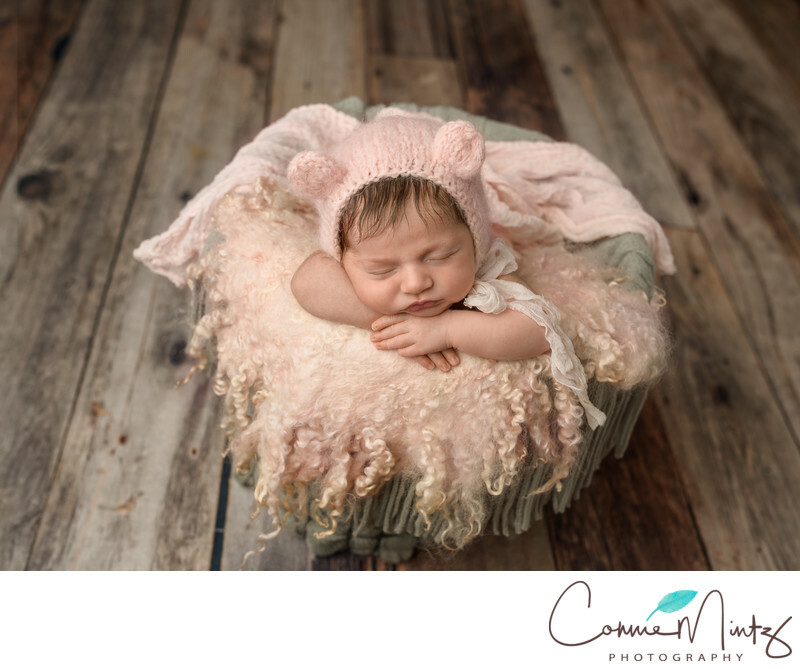 We like the rustic floor with the soft pink bunny hat.We carefully put her tiny hands under her chin. She was in a deep sleep and looks so peaceful. Mom and dad brought Aurelia in for photos because they wanted to capture her as a newborn. She so little and cute and they grow so fast! This was a special shoot since we did her maternity photos. I couldn't wait to see her. Keywords: newborn. body cast (3). 1/160; f/3.5; ISO 64; 35.0 mm.